I love that! In a nutshell romance is the little things we do for the one we love. The response was overwhelming. Here is a sampling of the answers. Christian, friend, good provider, respect for me, loves me, honest, dedication, good work ethic, loves his family, has a heart after God, able to say “I’m Sorry”, and his heart is after mine… meaning, his concern is for her well-being first. Kind, funny, loyal (devoted to God, family, and job). The list goes on and on, but there were a few common themes—Honesty, a hard worker, and he must be devoted to her and their family. I thought it’d be fun to try doing an acronym with the word love. What words would you use? I admit, I had to go to my thesaurus to come up with V and E, but I really like those words. Especially voluntary. 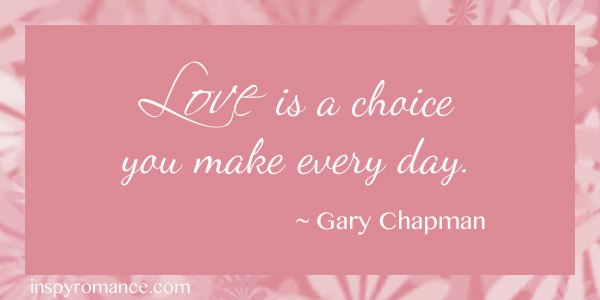 Love is a choice and so is romance for that matter. One of my favorite love passages in the Bible is 1 Corinthians 13:4-8. I hope you’ll look it up in your favorite version. I hope to reflect these qualities in my own life and in the characters lives that I create. Speaking of characters, I have a new book releasing next month. It’s called A Romance Rekindled. 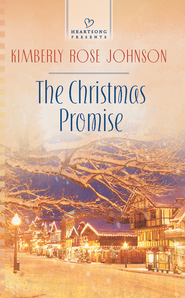 In honor of it’s impending release, I’m giving away one copy of my debut novel The Christmas Promise. I’m VERY technology challenged so your names will be assigned a number and I will draw a number from a hat. This drawing is open to USA mailing addresses only. Void where prohibited by law. The winner will be announced on Sunday. Loved this post. I also love reading about Christmas romances. Your book sounds wonderful. Thank you for a chance to win a copy. Thanks for a chance at getting your book . It sounds great! ! !